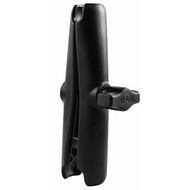 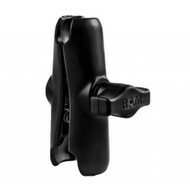 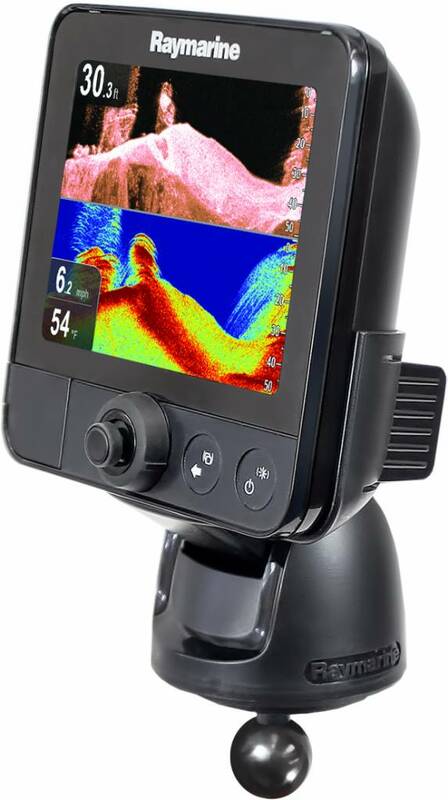 Montageset B-kogel voor licht gebruik van de Raymarine® Dragonfly™. 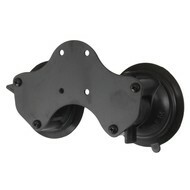 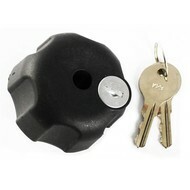 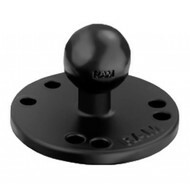 The RAM-B-101-RYM1 consists of (2 quantity) 2.5" diameter round bases that contains the universal AMPS hole pattern and standard length double socket arm. 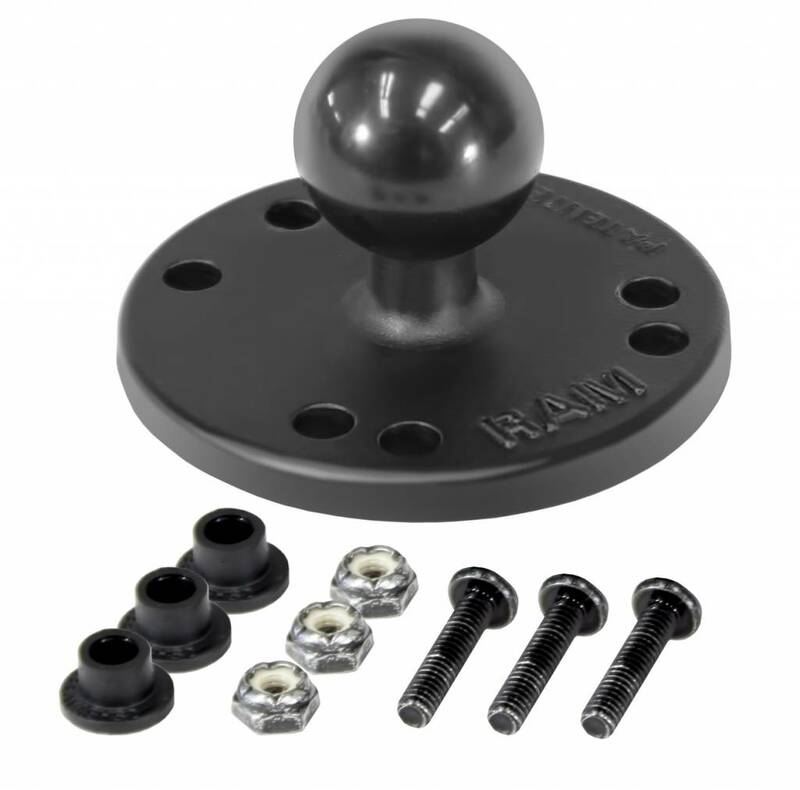 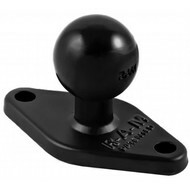 Included are (3 quantity) (#8-32 x 3/4" PH PD Mach Screws) and (3 quantity) (#8-32 SS Nylock Nuts) that will connect the RAM-B-101-RYM1 to the bottom of all Raymarine® Dragonfly™ Sonar/GPS devices. 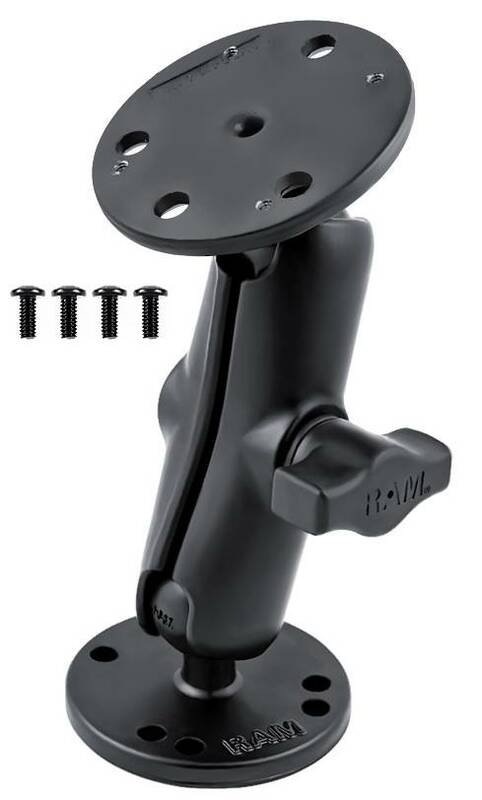 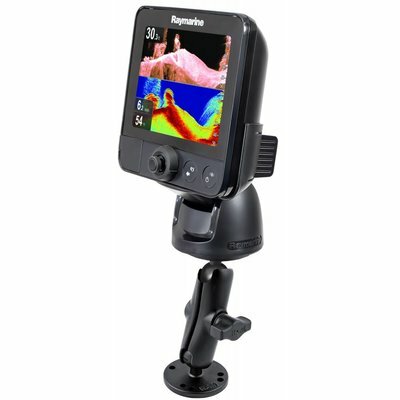 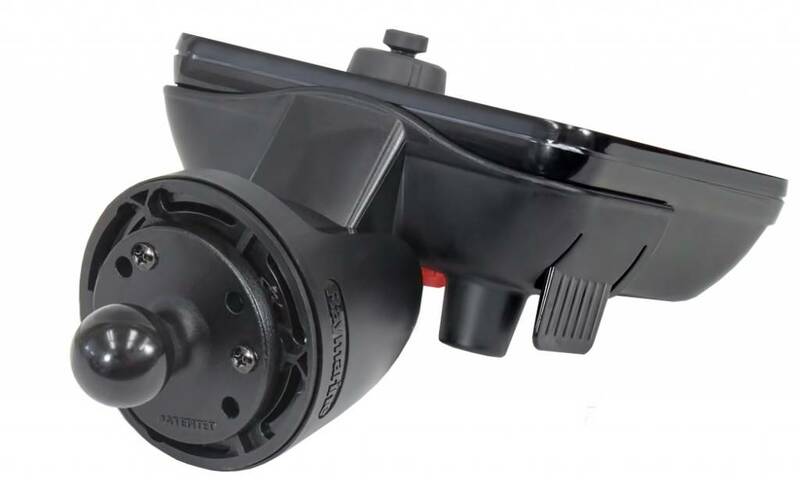 The mount is designed with a RAM 1" diameter patented rubber ball and socket system that has adjustment points at both ends of the double socket arm, allowing for almost infinite adjustment and perfect viewing angles. 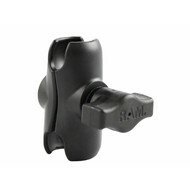 This is a drill-down mounting solution.